The rectangular Form table by Normann Copenhagen is a dining table that combines elegant and timeless design with industrial production methods. The rounded edges and the combination of oak and linoleum create a special look that has been awarded with the German design award. 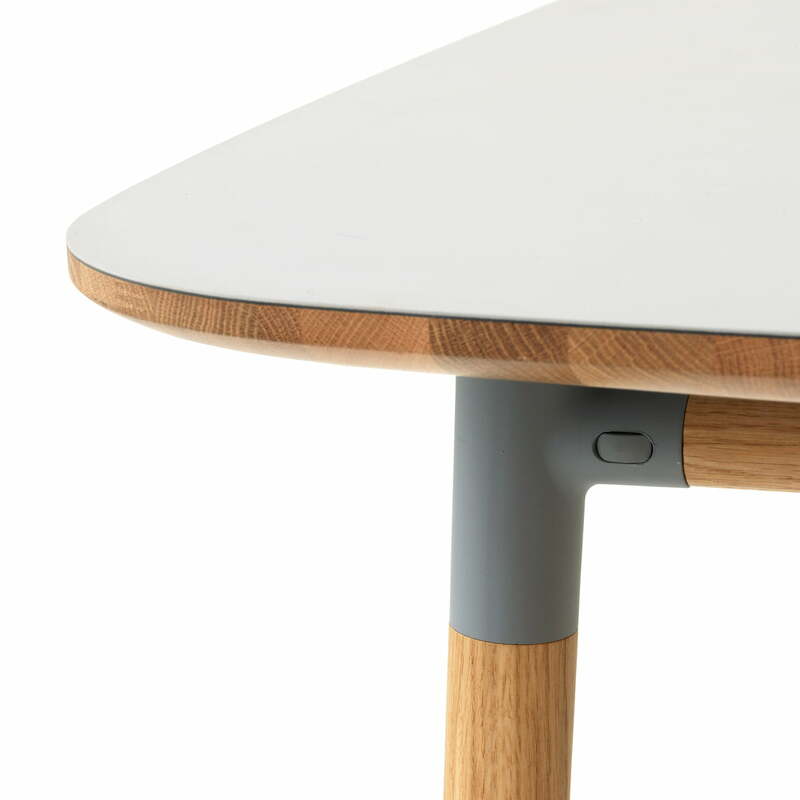 The Form dining table is part of the collection of the same name by Simon Legald for Normann Copenhagen. Legald’s goal was to create a contemporary series of chairs and tables, where the single parts join together to create a harmonious unit, a monolithic system. 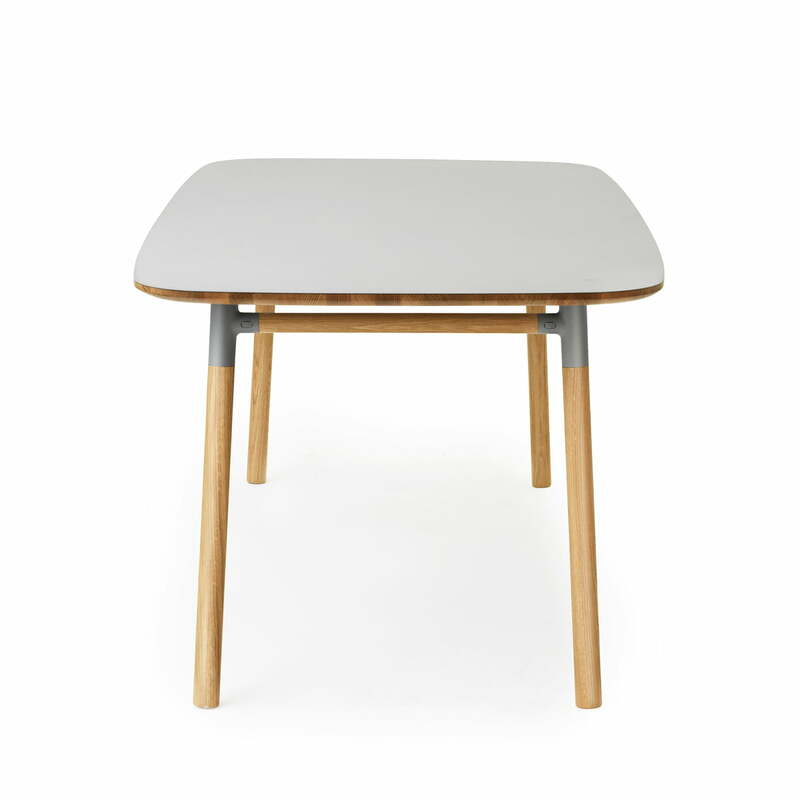 The modern dining table is available as a rectangular or square version in different colours. Matching dining chairs with or without armrests are also available from the Form series by Simon Legald. 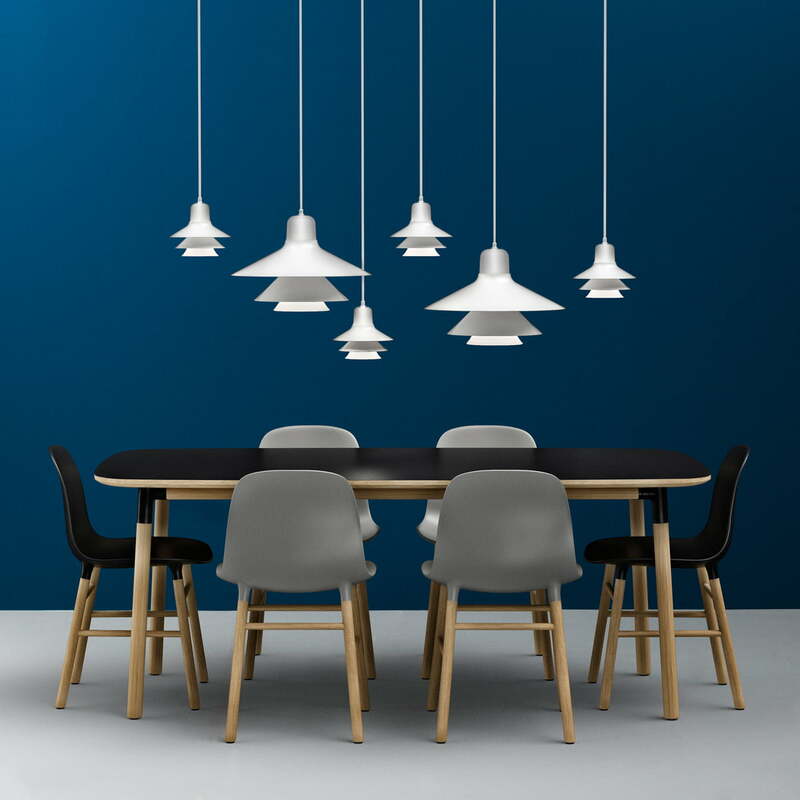 The Form series by Simon Legald for Normann Copenhagen was awarded with the German design award in 2016 due to the exceptional connection between table top and legs and the seat shell and the frame and its timeless look. 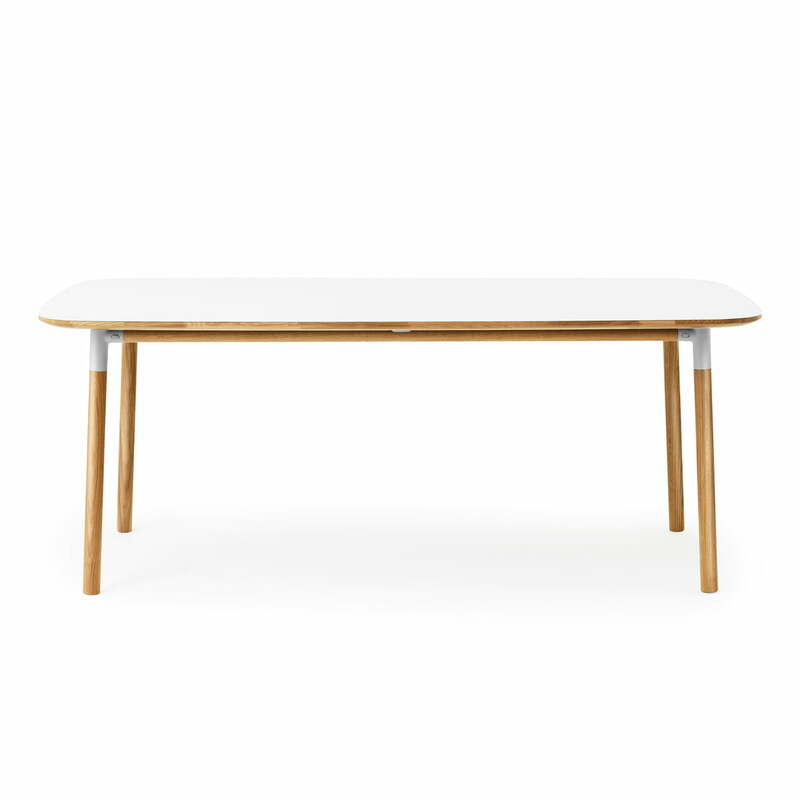 The Form table by Normann Copenhagen made of oak in white is a dining table that combines elegant and timeless design with industrial production methods. 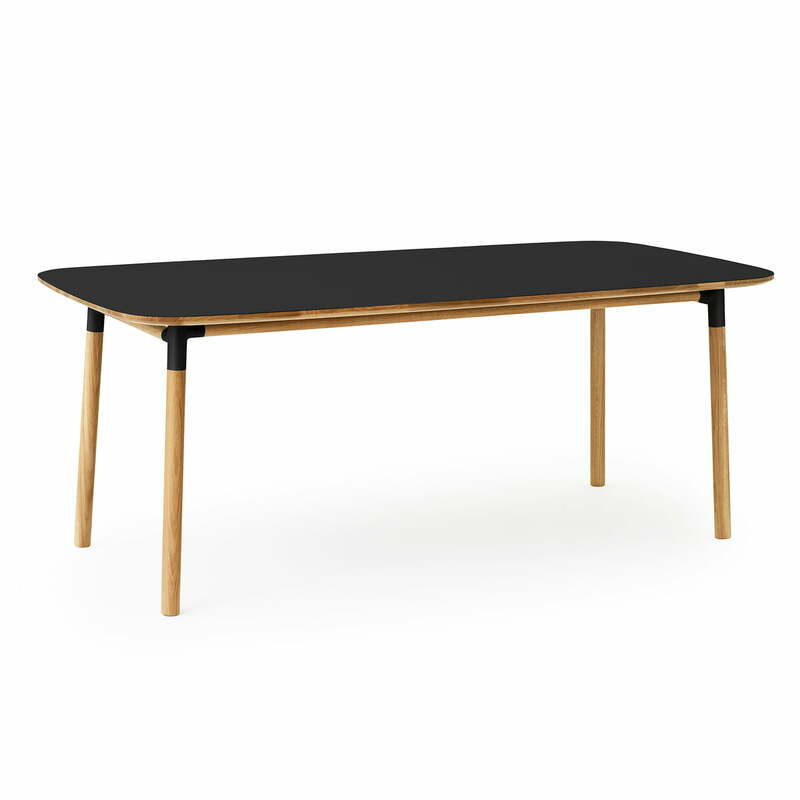 The rounded edges of the form table 95 x 200 cm by Normann Copenhagen and the combination of oak and linoleum adapt to any room and are inspired by furniture of all periods. 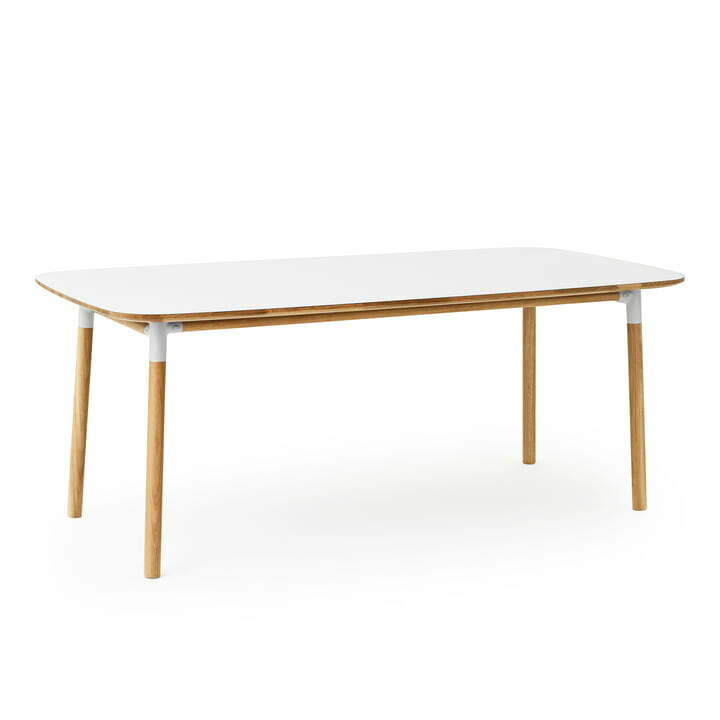 The dining table 95 x 200 cm belongs to the series by Simon Legald for Normann Copenhagen. Legald wanted to create a contemporary series of chairs and tables that appear like being made of a single cast. 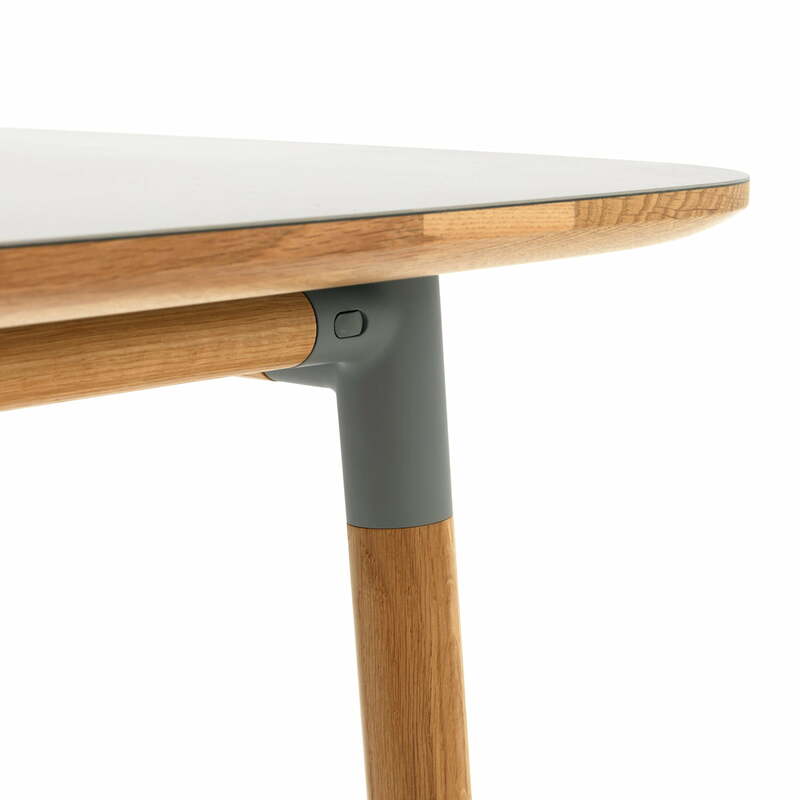 The linoleum parts are equipped with a plug-in system, in which the oak legs can be inserted. Like that, the Form series appears soft and as if made from one piece. The designer Simon Legald’s intention was to create a contemporary series of chairs and tables that appear like being made of a single cast and combine several kinds of materials. The square and rectangular versions of the Form table allow different ways to create a timeless, unique and contemporary interior. In addition to the table there are chairs that belong to the Form series, which are also available in different shapes, materials and colours. The materials are pleasant to touch and easy to maintain. This gives the series an exclusive appearance that enriches the interior both at home and at the office.